There are four major stakeholders that serve as foundations to companies that are registered in Singapore: the shareholders, directors, auditors, and the company secretary. Of these four, the secretary has the least liability. However, they are still considered key people who serve an important purpose for the operations of a business. From the perspective of startups, especially those that are working on a limited budget, the inclusion of a company secretary in manpower pool can be a topic of debate. Questions like, “Won’t they eat startup money?” and “Can’t their responsibilities be covered by the other stakeholders?” often arise. This article serves to answer that dilemma. How important really are company secretaries in a business that is still working to take off the ground? In Singapore, it is a requirement to hire a company secretary in accordance with the Companies Act. The government stringently implements such requirements and non-compliance can result into fines and penalties. The Singapore Companies Act requires all companies to appoint a qualified and local secretary within six months from the date of its Singapore company incorporation. For public companies, secretarial services can only be filled in by someone who is an ordinary resident in the city-state, and he/she cannot be the sole director of the company. A secretarial service of 3 to 5 years is mandatory before they can be appointed as secretary to a public company and they should also meet a defined set of requirements before being appointed to the position. This is because a public secretarial role involves more legal know-how and practice, with the position often being a full-time and in-house job. Private companies, on the other hand, do not need to abide by such strict requirements. According to LinkedIn’s Pulse, candidates are only required to have a Singapore residency (or a Permanent Resident status or employment pass) and should be of legal age. This doesn’t mean, however, that their role and importance in a business is any less important. Do startups need to hire a company secretary? With the less stringent requirements expected from company secretaries of private companies, it is not at all surprising to have the role undervalued, especially by startups. However, company secretaries also serve a fiduciary role on businesses, serving as the point person for specific needs like annual filing of requirements and Annual General Meetings (AGMs) required by the Accounting and Corporate Regulatory Authority (ACRA). 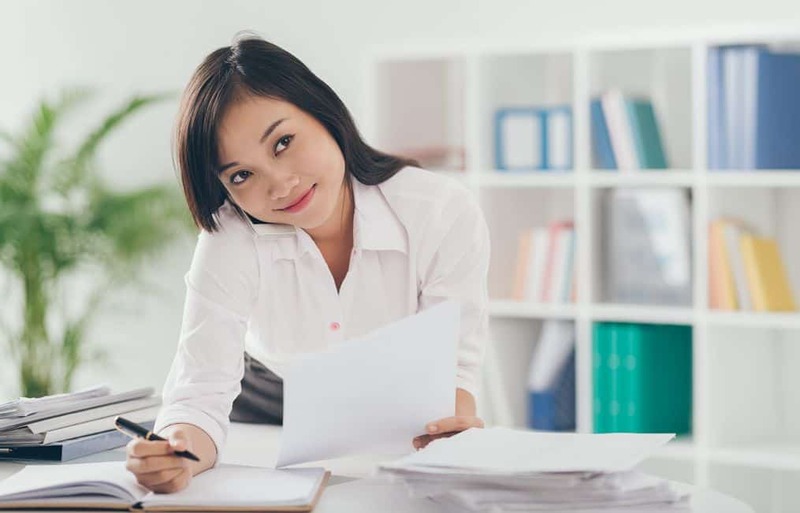 Generally, the duties and roles of a Singapore company secretary can be divided in two: a) Business and operational duties and b) Legal and financial duties. An overview of each is provided below. A company secretary acts as the link between the directors and employees. They are in-charge of setting out the agenda for meetings and non-official gatherings and is also the point person to ask for relevant information about the company. They are also the ones who take care of all transactions that can influence share distribution and the key person for documentation of all transactions of the company. In terms of legal and financial duties, the secretary is the one who manages the insurance covers of a company and prepares and files all the account statements in accordance with the Companies Act. He/she is also expected to ensure that the business follows the law and regulation set up by the Memorandum of Association. Now that you have a better understanding of the role of a corporate secretary, it is time to go back to the question of their significance for startups. So, how important are they really? The main challenge that can arise from not having a corporate secretary is that entrepreneurs cannot provide the necessary focus to business aspects that commonly fall under the responsibility of a secretary. The following are just some of the possible scenarios and mistakes that can arise when you don’t have a dedicated secretary on your team. Failure to create a business resolution. Let us say that you have filed for a change in the business address but you have failed to submit the documentation to the Accounting and Corporate Regulatory Authority (ACRA). In this case, your resolution will be considered as invalid. Forgetting a critical step to validate a business change. If you have named a new company shareholder but forgot to arrange a General Meeting to acknowledge it, without this mandatory step, the said shareholder will be considered void in the court of law. Incorrect year-end reports, which fall under one of the main responsibilities of a Singapore company secretary can give you problems once the time comes for the filing of taxes. It can also compromise your company’s chance to maximise tax benefits. A company secretary is expected to be responsible for advising business directors on the key aspects of company law. Without a dedicated person to do this, important business decisions that do not comply with the law can be considered invalid, or worse, result in penalties. Poorly maintained records can prove to be disastrous to any company. Without a secretary to maintain and manage statutory records (which includes important documents proving company ownership and record of members), confusion can arise and ultimately lead to entrepreneurial disaster. Rather than doing it by yourself, enlisting Corporate Secretarial Services is a good option for startups. Corporate compliance is significant now more than ever, especially with company directors being placed under the rising pressure of shifting legislative requirements. Being compliant has become more time-consuming and complex than before and startup founders need all the time and attention they need to focus on running their business. Working with a professional service provider can ease business owners from these burden without compromising their startup budgets. At Richmond, we are dedicated to providing quality and cost-effective corporate secretarial services to small and medium-sized enterprises in Singapore. Get in touch with us and schedule a free consultation with one of our specialists.